Over the past decade, advances in this field have been rapid and we are now well into the era of digital photogrammetry. This book provides an authoritative account of the subject with chapters from acknowledged international experts. The methodology, algorithms, techniques and equipment necessary to achieve real time digital photogrammetric solutions are presented, together with contemporary aspects of close range photogrammetry. Advances in the theory are presented, as are a range of important applications of photogrammetry which illustrate the flexibility and comprehensive nature of these techniques of three dimensional measurement. Academics, professionals and students in photogrammetry, surveying, civil engineering, and any discipline where the techniques can be applied such as architecture, archaeology, medical imaging. 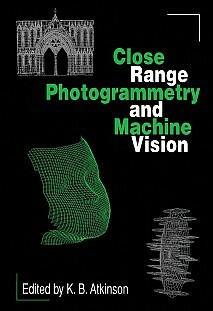 '... really stops a gap and may become a standard work for this very interesting ... branch of photogrammetry.' Vermessung & Geoinformation.